Purchase this product now and earn 375 - 738 Points! Custom WordPress Social Icons Menu. Related Posts by category or tag shown when viewing a individual post. Change the theme accent colors with ease. Easily edit or hide the social menu. Change the content/sidebar alignment from left or right. Easily upload your own custom header image and optionally crop to fit. Live preview your changes before publishing all within WordPress’ Customizer! 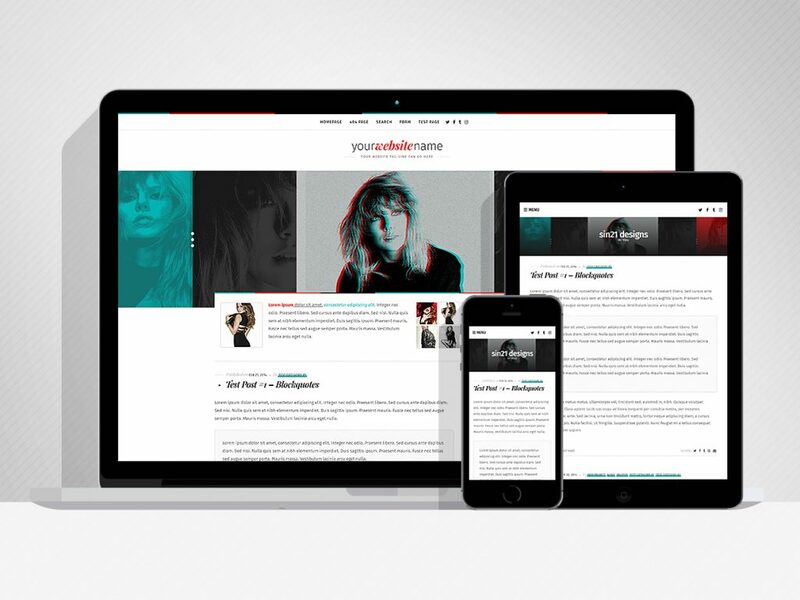 3 blog layouts, plus the full-width version of each. How-to guide featured at the top of the style.css file. Allows you to hide the many of the same features as the WP theme. MonicanDesign.com – You might not be aware, but many of my WordPress themes have been modified and cleaned up in the past few years, along with the addition of some wonderful new features. And quite often Monica has been the source of these references. Obviously, I’m a big fan of her work. Monica is one of the most talented designers around and I always find her coding awe-inspiring. She’s always evolving and improving her themes and more often than not her coding has become a great learning guide and source of inspiration for me to better my own coding and knowledge. And thus I must give credit where credit is due for Monica’s big beautiful brain.